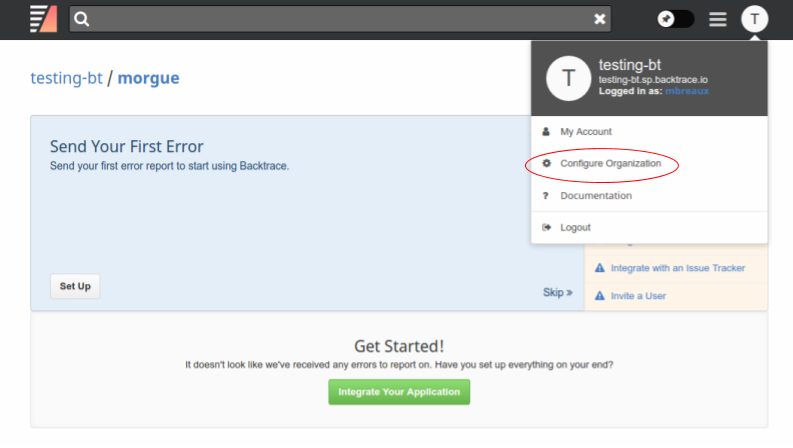 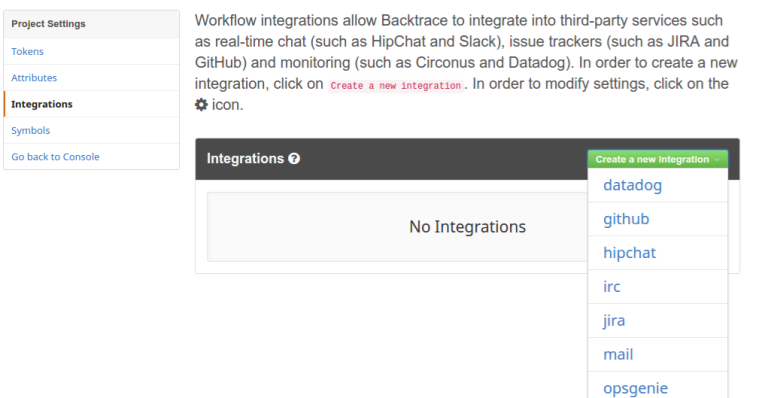 This guide goes through the steps necessary to integrate Backtrace with IRC. 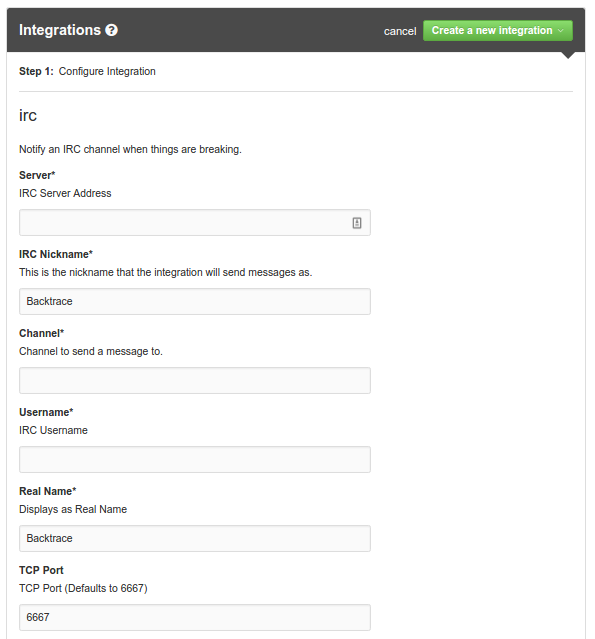 With IRC integration, Backtrace can send an alert message for new crashes or crash groups to a specified channel on an IRC server. 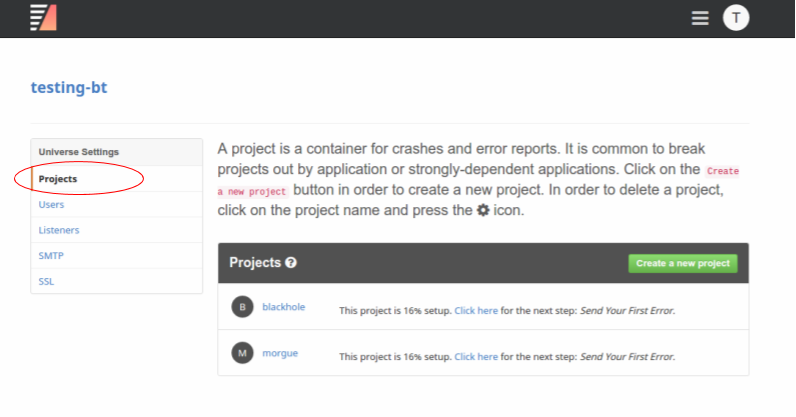 This message will contain a URL to view more detailed information about the crash in the Web Console.